I have had my eyes on this product for such a long time and I cannot believe that I am only just trying it out. I am sure if you are a big makeup fan like I am, and you love to watch YouTube tutorials, then you will have seen the MAC Prep and Prime being used. From the first moment I saw this in a video, I knew that I had to try it out. Plus, I had tried pretty much every other product that MAC are selling, so it is only right that I buy it and try it out. So, I hopped on the MAC website and decided to test it out… the only thing was when I got it through the post, I realised that I had completely the wrong shade to the one that I wanted. Like the rest of the world, I wanted the shade Light Boost, which is a yellow tone and it is perfect for brightening areas of the face. I accidently bought the shade Bright Forecast, which is pretty much the opposite of Light Boost and it is a salmon pink kind of shade. Even though the shade isn’t what I initially had in mind, I knew that I could find some use for it and make it for me for and my skin tone. Plus, with the dark circles that I am developing at the moment thanks to working all the hours that god sends me, I have space for a corrector in my life. 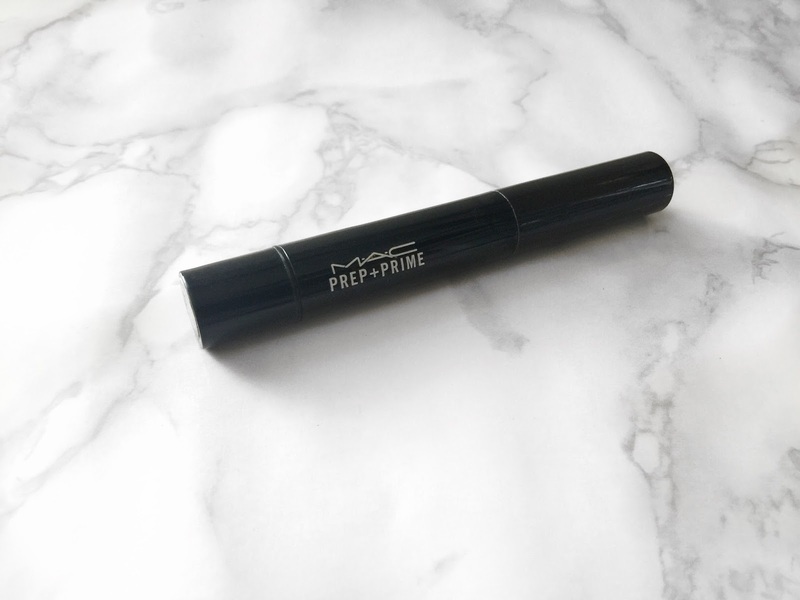 How I really like to use this MAC Prep and Prime is by applying in underneath my makeup. I will apply my moisturisers and primers and then I will go in with a touch of this product and apply it to any areas on my face that I think need a little camouflaging. 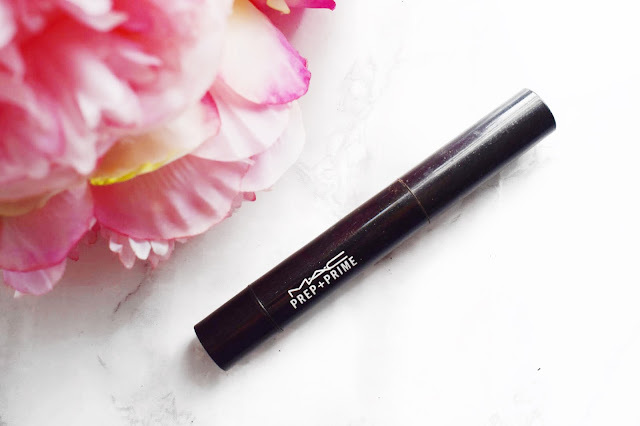 I love to put this underneath my eyes because I find that the pink tones throughout the product really help to neutralise the blue tones and small veins that I have around my eyes. I have also used this on top of my foundation and patted it into the skin using my ring finger and it just further helps to hide and conceal certain areas whilst colour correcting at the same time. One thing that I do really love about this product is the packaging. I know that I always speak about packaging, but I figure that if it is important to me, then the chances are that it is important to somebody else out there too. I think that it is really convenient that this is in a tube with a twist up bottom and a brush on the top. It makes it great for when I am out and about or travelling. The only thing about the packaging that I’m not really a fan of is the fact that you cannot see how much product you have left because of the black packaging. You go form using this product to all of a sudden it being gone, and it doesn’t give you a chance to stock up if you are running low. Another thing that I am really enjoying about this product is how beautiful and creamy the product itself is. It glides on the skin straight from the brush in the applicator so nice and smooth and evenly. I like to use a damp Beauty Blender to blend it into the skin and the products that are already on my skin and it works like a dream. I can even pair this with a concealer if I need to go for a very full coverage kind of look and it doesn’t seem thick or cakey because of how lovely and lightweight this product really is. There really isn’t much more that I can say about this MAC Prep and Prime in Bright Forecast other than I am really enjoying it. Whether I use it before or after my foundation, it does the job of not only helping to conceal my darkness and sullen areas on my skin, it also helps to brighten the area. The consistency is lovely, the coverage is perfection for a brightening product and I know that I am going to be using this for a very long time. I cannot wait to get my hands on the shade Light Boost now that I have fallen so in love with this product. I will leave a link to this down below in case anybody wants to check it out for yourself. Make sure to leave me a comment down below and let me know if you have tried this out and what you thought about it!